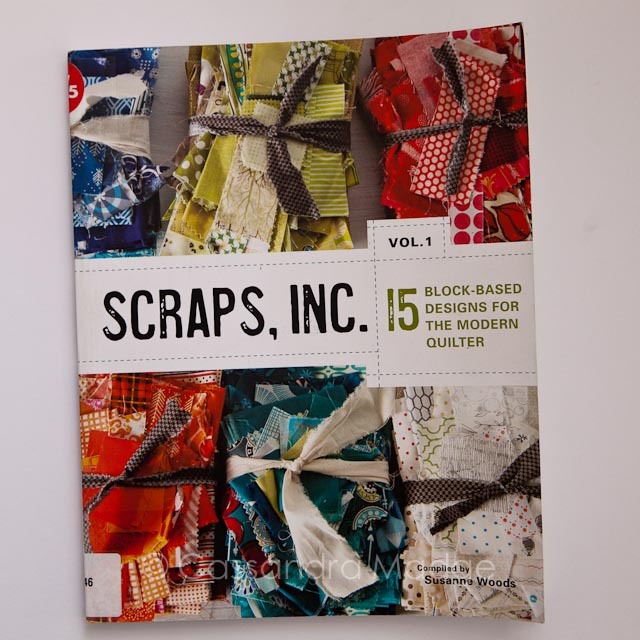 I realise that I am a little behind the books, with Lucky Spool Media having just released the sequel to this book with Scraps Inc. Vol 2. However, for those like me, who missed the first one, I wanted to share some of the designs and features that made Volume 1 such a popular book! 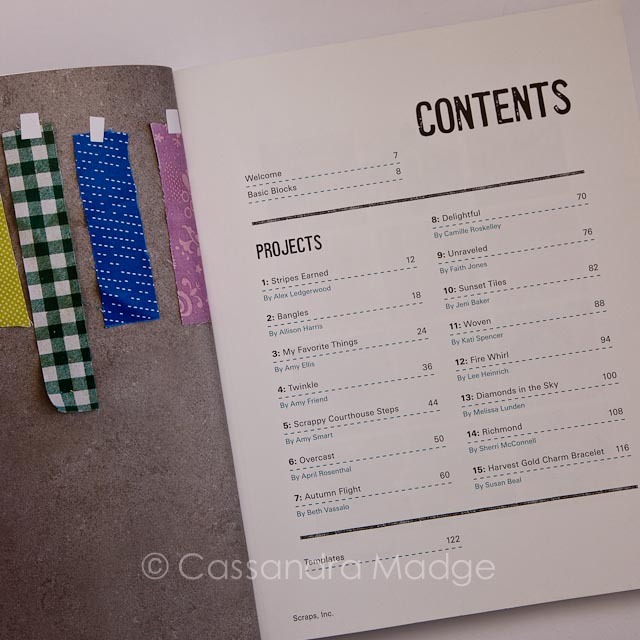 What isn’t mentioned on the table of contents is that all of these patterns are broken up by scrap type – strips, squares etc. 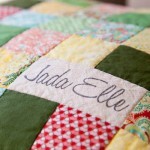 They are grouped in an organised fashion allowing you to quickly find a pattern to suit your scraps, with the minimum of fuss. 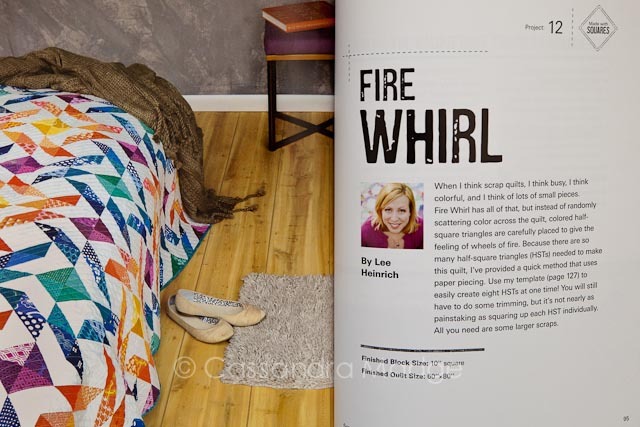 You can see that in the top right corner of the cover page for Lee Heinrich’s stunning pattern, Fire Whirl. 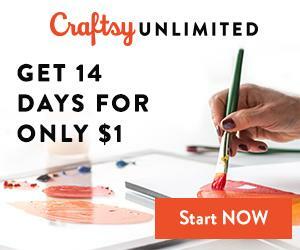 It’s made with squares for easy scrap planning. 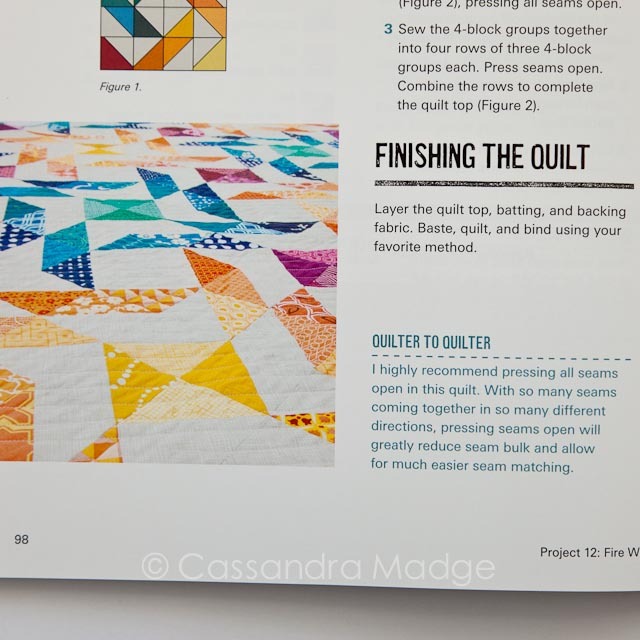 As you would expect, each designer introduces their pattern and there is the block and quilt size listed here too for easy reference. 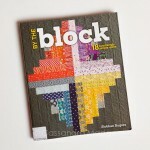 Patterns included straightforward block piecing styles including paper piecing. 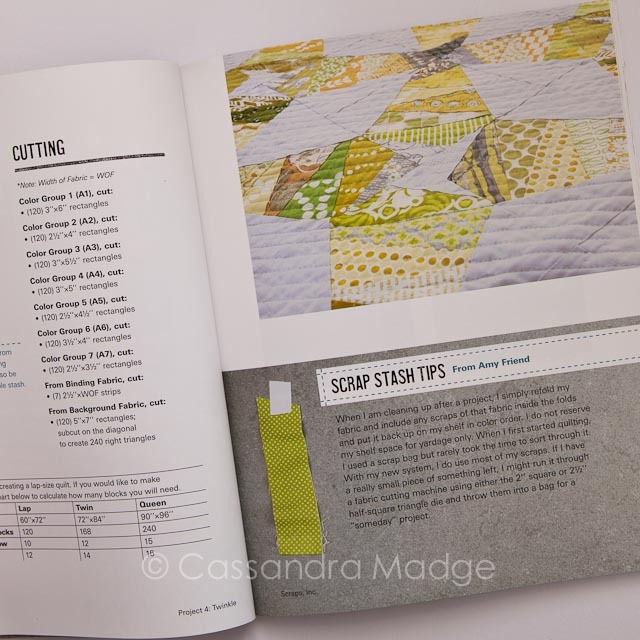 The designers have all provided their own scrap stash tips – in case, like me, you look at your mounds of scraps and call to the sky, “there has to be a better way!” Everyone manages their scraps differently, but there can be some great ideas that you haven’t tried yet in these little tips. 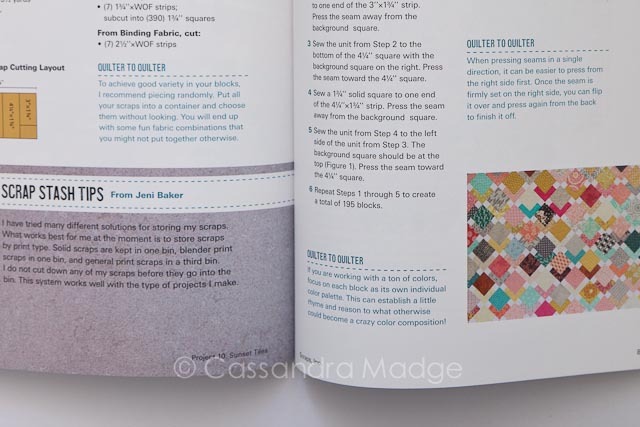 Also, scattered throughout each pattern are the little “Quilter to Quilter” tips – dealing with choosing fabrics, seam pressing, colour balance and finishing off your quilt. 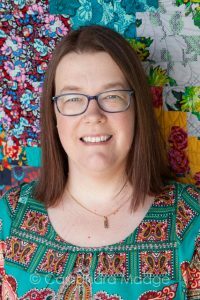 They are a fabulous feature, getting an insight from the designer how to get the best out of their pattern for your quilt. 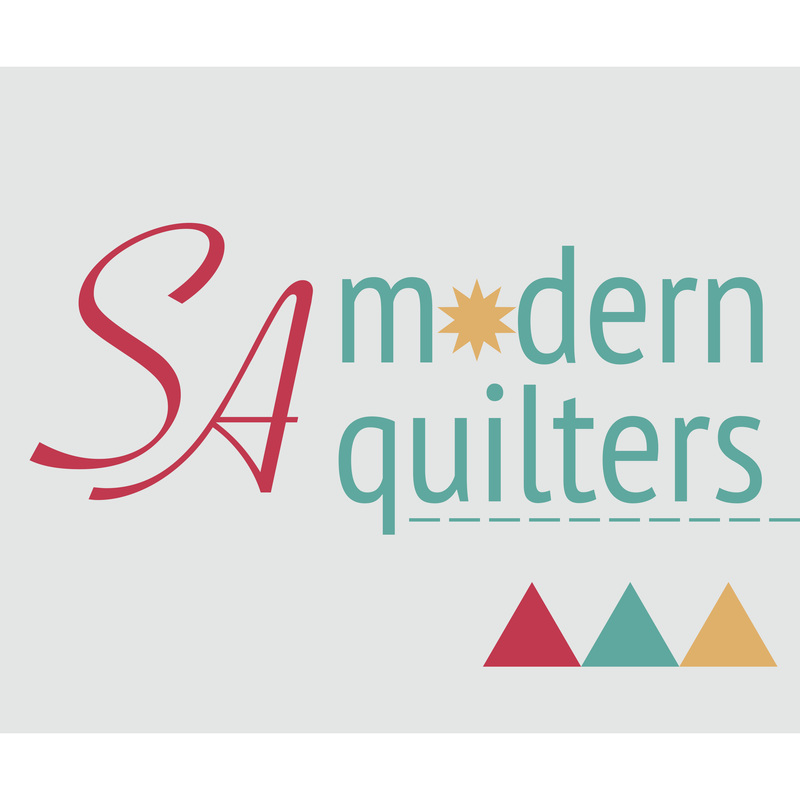 It is worth reading all these tips through before you start making, as with this one, tucked away at the end of the pattern which actually talks about seam pressing for the whole quilt. 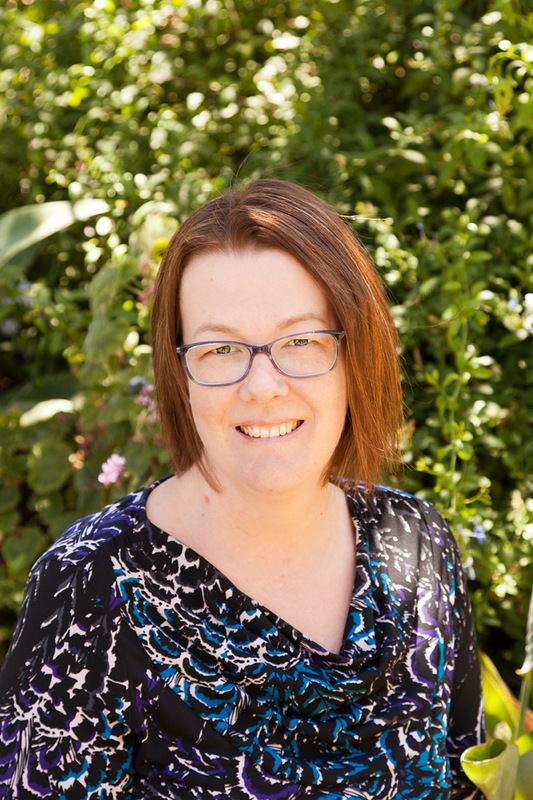 Of course, there is always the styling and photography to look at as well. They have presented a modern, almost industrial feel to this book. 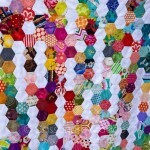 These are gritty, colourful scraps, not soft and dreamy rose petals. 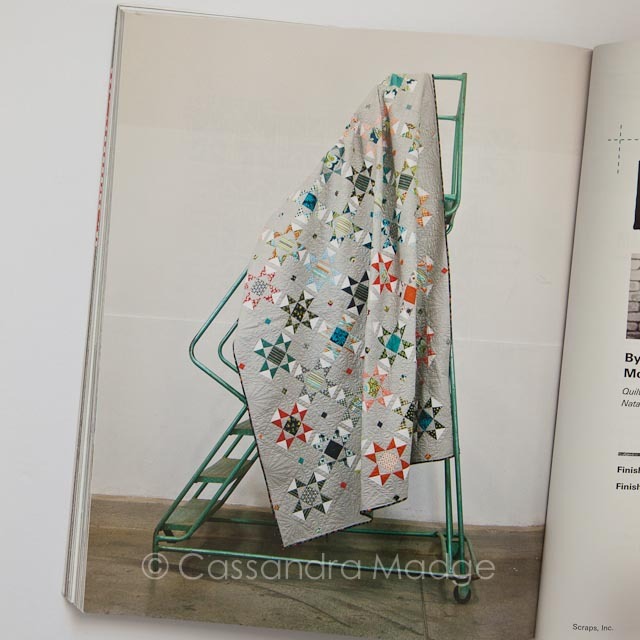 The photography is beautifully done, with little things like how well the tones of this ladder match the teal blues repeated throughout this particular quilt.